We’ve already seen this week proof in an UMR Research study that the public believes the media is inaccurate, biased and unwilling to own up to its mistakes. If those who answered that way in the UMR survey needed any more evidence to confirm their views they got it this week with two shameful examples from our TV networks. TV3 60 Minutes producers failed to front on Russell Brown’s Media7 show to answer criticism from the Neurological Foundation and scientist Dr Bronwen Connor about a piece they ran about an experimental stem cell treatment that proved to be less than accurate and balanced. 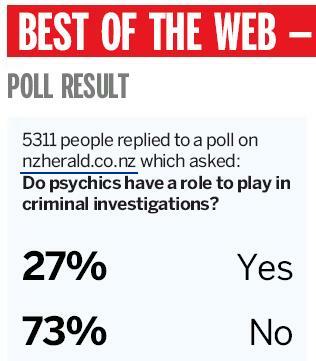 “Television New Zealand’s decision to exploit the suffering of the Symes family by bringing a charlatan, sorry a psychic, into their lives, and one who has worked for TVNZ, is disgusting and displays a lack of judgement and an absence of ethics from those involved.